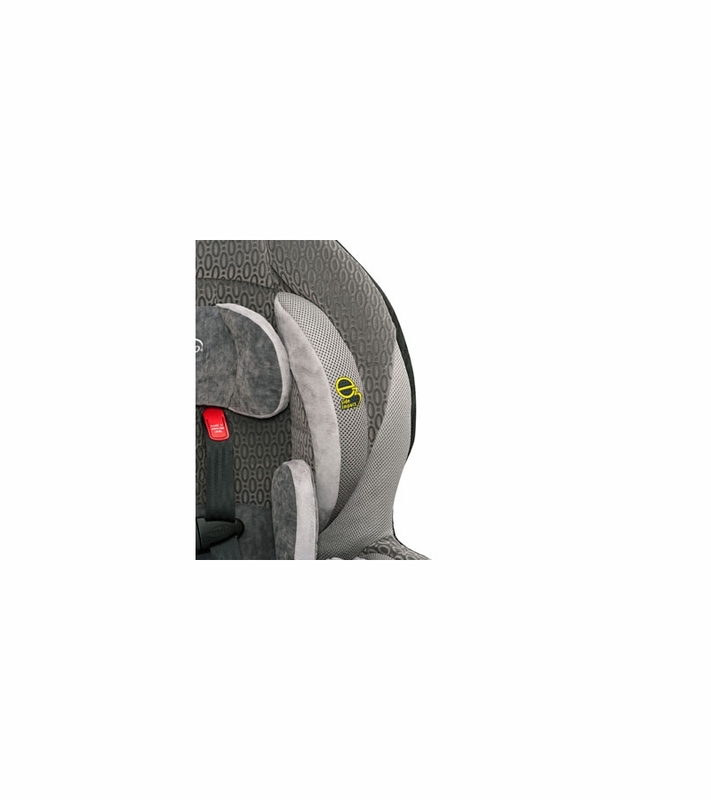 The new Evenflo� Momentum 65� LX Convertible car seat offers parents superior e3 Side Impact� protection to keep their child safe alongside features that help make safety, car seat installation and use as easy as possible for parents. Safety. So Simple! 65 lb. harness weight rating to keep children safely harnessed as they grow! Infinite Slide Harness� simply slides for an accurate fit. No rethreading necessary! 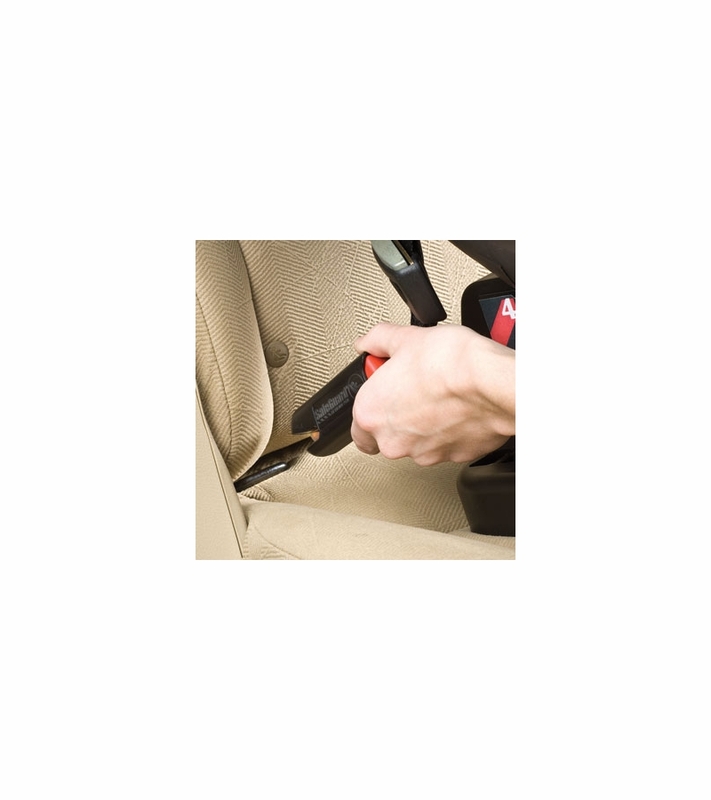 Quick-Connector� LATCH safely connects to your vehicle's LATCH System. 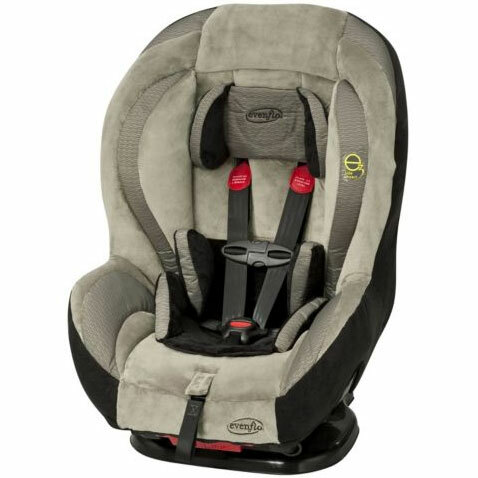 The Momentum 65� convertible car seat is for use rear facing with children that are 5 to 40 lbs or forward facing for children that are 20 to 65 lbs. Read all instructions and warnings on the product, product labels, and instruction manuals before use. 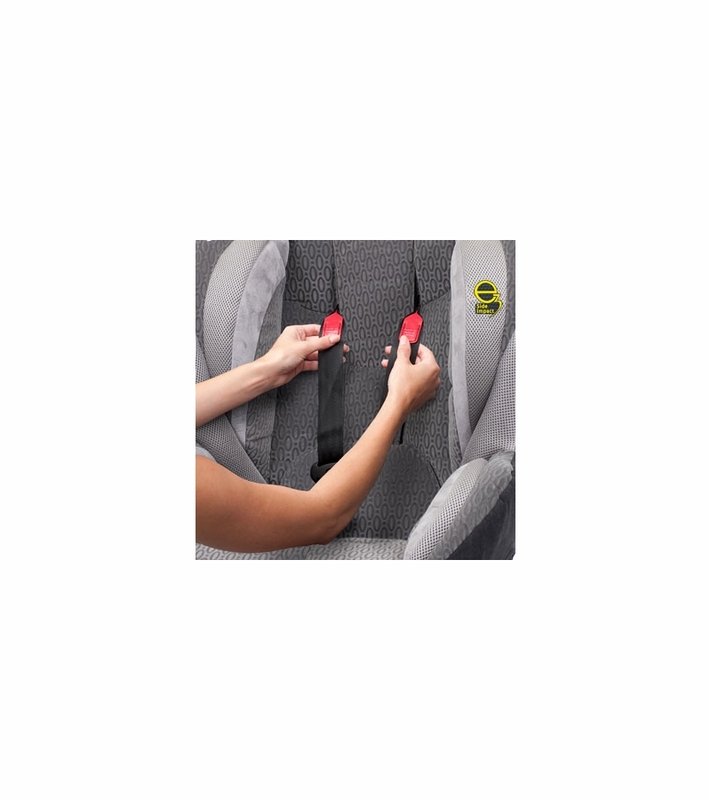 Consult your vehicle owner�s manual to determine proper placement of child restraint in your vehicle and familiarize yourself with your vehicle�s components. THis is the third Evenflo Momentum I've bought: the first 2 were the previous year's model, this one seems to be the final generation of the Momentum.Albee baby got this to my sister's house, just in time for me to install it in the rental car and pick up wife and daughter at the airport. Kudos for fast processing.THe price was the cheapest by $50 I could find.My only complaint is about the product itself: this year's model (as opposed to previous year's) has a cheaper type of LATCH buckle - it requires manual cinching. My other two, bought 10 months ago, have a self-retracting strap. Makes a BIG difference. Consthis year's model eliminated auto-tightening LATCH buckles, replacing them with manual-tightened. Works great. Easy to adjust. Toddler loves it. Directions might seem a bit daunting, but they are easy to follow after you get used to them. ConsCup holder could be made better. The first thing I will say is this was my first time shopping at Albee Baby and I was very pleased. I received this a day ealier than I was supposed to. This car seat was everything I hoped it would be. 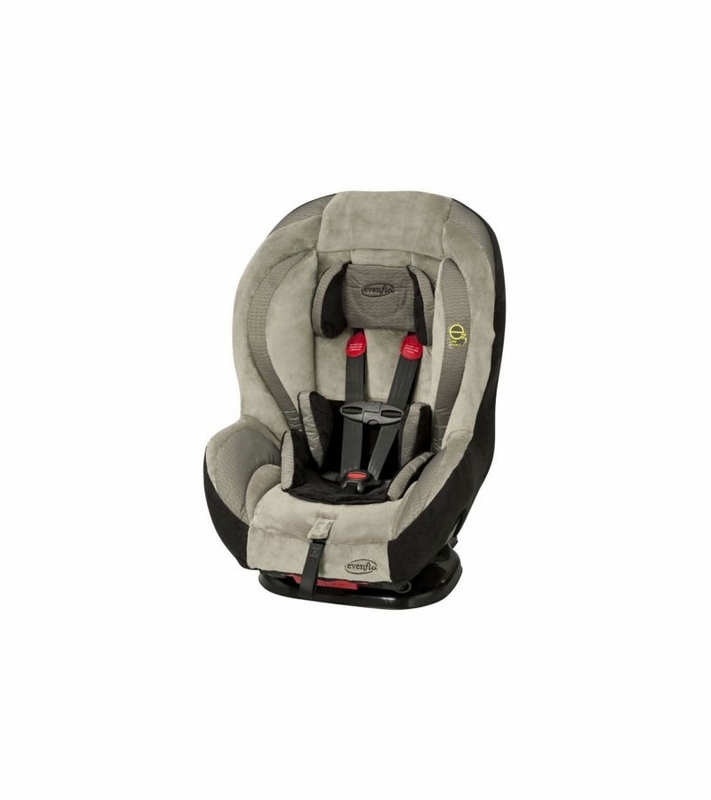 I compared it to the Britaxx car seats for ALL safety points and this was the best pick comparison. When I took the seat out of the box all I could think was HUGE! I was afraid that the size would not fit even into my Ford Explorer but when I installed it, it only takes up a tiny bit more room of that of a normal size person. My 13 & 16 yr old fit just fine in the middle row of my car/ truck. It was very easy to install and that was the best part. It took nearly 1 to 2 minutes to hook latch and adjust the straps. I lalso love how roomy it is and that the seat reclines for my daughter's comfort. This is an A+ car seat! ProsSafety, roomy, reclines and my daughter can use this when she's a pre-schooler. this is another great seat by Evenflo, and what a great steal on this website! Nothing beats the easy height adjustable straps without rethreading! Also, unlike other leading convertible seats, you dont' have to prop anything under this seat to position it properly when rearfacing thanks to the great recline. The cover is so easy to remove. Evenflo is the best bang for your buck, hands down!